Glorious 24-bit/192 kHz recording cut to lacquer at Abbey Road Studios, audiophile pressing on 180g vinyl by optimal media GmbH. The album is presented in a deluxe heavyweight matt-laminated gatefold jacket. LP limited to 1000 copies only. Not to be missed. Mastered at Abbey Road Studios, manufactured by optimal media GmbH. Kit Downes' Tricko now available on 16 bit CD, housed in a deluxe matt laminated triple-fold digipac. It was in April 2013 when I first saw Kit Downes leading his own group with music from his Light from Old Stars album. Deeply impressed by his direction, I was quick to open a dialogue with Kit, the objective of which was to instigate a creative collaboration with Matt Bourne for my embryonic 'Project S'. Over the following year I was to see the quintet again, and later, Kit's new duo ensemble, Tricko, also featuring Lucy Railton, on several occasions. This exceptional record is the first fruit of our meeting. Is it 'chamber-jazz'? Is it 'contemporary classical'? Call it what you will, it is very beautiful indeed, and I am delighted that it has found a home on Perdu. "One of the finest pianists of his generation"
"Kit Downes is the most impressive jazz pianist from England since John Taylor"
Diving into the space between the organised and the disorganised, Mercury Music Prize nominated composer and pianist, Kit Downes, pulls together the lyricism and big-beat of his favourite minimalists, the imagination and intensity of his favourite modern jazz composers, ballads from nearby circling ice-cream vans and his own light-footed approach to improvisation in this, his new ensemble, Tricko. Downes (piano and compositions) is joined by cellist Lucy Railton, forming a pairing that is at once both dark and detailed, colourful and contemplative. Downes and Railton first met when they studied together at the Royal Academy of Music (between 2006-2010). Their paths continued to cross in London's improvised/new-music scenes. In 2012 Railton joined Downes’ quintet for the album Light from Old Stars, at which point Tricko was formed. 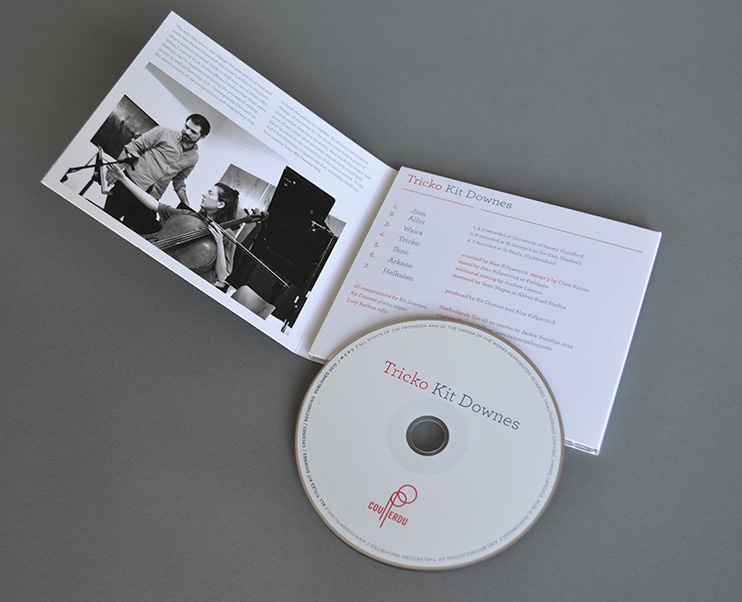 Kit Downes is a composer, pianist and organist living in London. Kit has his own group Tricko, that he writes for and tours with, as well as working with Wedding Music (playing church organ, Tom Challenger - saxophone) and a new piano trio The Enemy featuring Petter Eldh (bass) and James Maddren (drums). He also plays and writes for Troyka, and collaborates with many other musicians, composers, artists, film makers and organisations. Downes was nominated for the 2010 Mercury Music Prize and was a 2009 BBC Jazz Awards winner. Cellist Lucy Railton is a soloist, curator and collaborator. Having graduated from the Royal Academy of Music in 2008, her study of contemporary classical music has since informed a wider interest in experimental music, particularly improvisation and electronic composition. She has worked and performed with a diverse range of practitioners in dance, the visual arts and film. Outside of her performing career, Railton is co-director of the London Contemporary Music Festival. When he was still a student jazz pianist with the fledgling Empirical, Kit Downes was already declaring that jazz meant for him an opportunity to mingle all kinds of music, rather than pursue a specific style. Seven years and much acclaim later, he’s extended that conviction all the way to Tricko, the chamber-music duo he shares with contemporary-classical cellist Lucy Railton. They’ve played this repertoire live, but since it can be restlessly sharp-angled as well as tranquil, the recording reveals implications not always clear on stage. The busy Jinn, for instance – juggling quietly prodding chords and feverishly wriggling resolutions – reveals elegant inner symmetries here. The Ravel-inspired Alliri is similarly capricious yet shapely, the title track alternates a prancing rhythm with a lazily swimming feel, and Inho recycles a subtly lengthening motif and sounds as if it’s shrouded in mist. It’s only conventional jazz in passing glimpses, and Tricko won’t be a license to print money, but this is eerily inviting, gracefully cutting-edge music. 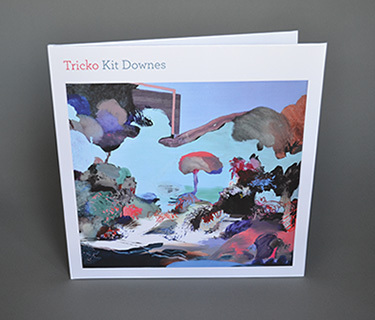 Tricko is an impressive artistic statement from Downes and Railton that bridges the worlds of jazz and contemporary classical and chamber music. The pieces are often downright beautiful and can be enjoyed for their serenity and lyricism alone, but there is also an intellectual rigour behind much of the writing with the two musicians conjuring up a wide variety of colour, nuances, timbres and textures from their respective instruments. Tricko illustrates what a versatile and fully rounded musician Downes has become. An astonishingly mature record, superbly realised. While the tension between composition and improvisation is a significant aspect of his work, here the emphasis is on the form, even though jazz-inflected rhythm and the feel of improvisation is very much present through Downes' compositions on the recording. At times they recall the sonic world of chamber music works by 20th century composers such as Maurice Ravel and Darius Milhaud, at others, later art-pop minimalists from Steve Reich through to Brian Eno. Downes develops counterpoints to his tender themes slowly yet concisely; there isn't a note that's wasted. The effect is hypnotic. 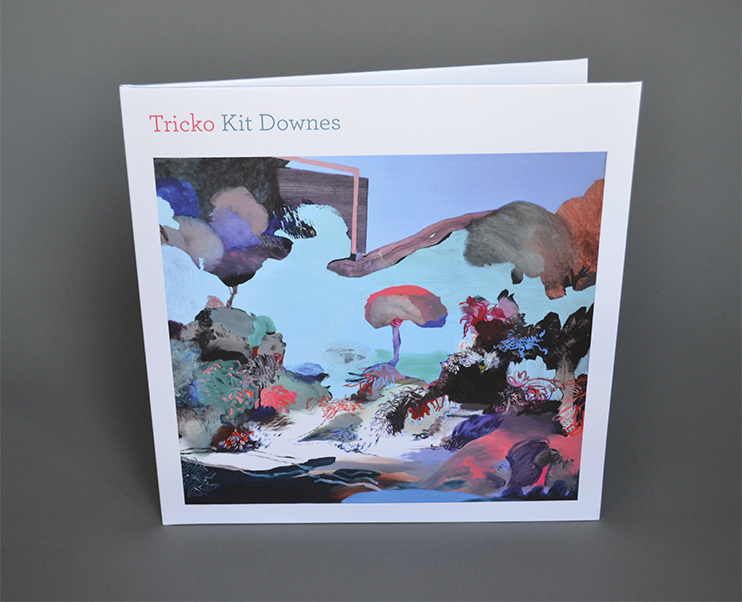 Tricko pairs composer and keyboard player Kit Downes with cellist Lucy Railton on a set of Downes' compositions. It's a delightful pairing, creating distinctive tunes inspired by minimalism, mutability and a few of the mysteries of the world. Whatever this music's history may be, there's no denying its freshness. With this cleanly recorded album pianist Kit Downes seems to have founded his own musical form, a kind of intelligently wonky chamber music. Mercurial, provocative, affectionate, adventurous and animated are all adjectives that come to mind. Interesting stuff. Focussed and filled with energy. The recording quality is first class and the presentation is classy too.